The national headquarters of the American Philatelic Society, located in State College, PA, has outgrown the capacity of its current facility. APArchitects, LLC, assisted the Philatelic Society in its consideration of two site options for relocation and expansion of their operation. Consideration was given to renovating and adding to the existing facility. 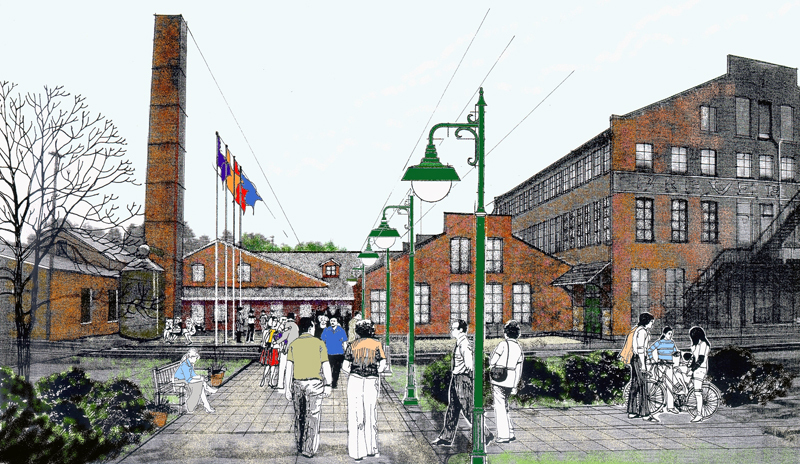 Also considered was the relocation of the operation to an historic structure in Bellefonte, PA. APA prepared Feasibility studies for both options which included programming for current and future needs, conceptual site and building design and planning, and preliminary construction cost estimating. The analysis assisted the Philatelic Society in their determination to pursue the renovation of the “Match Factory” building in Bellefonte.